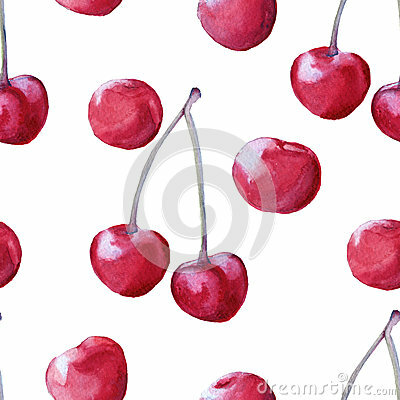 Background cherries. seamless pattern. illustration for fabric. watercolor illustration.